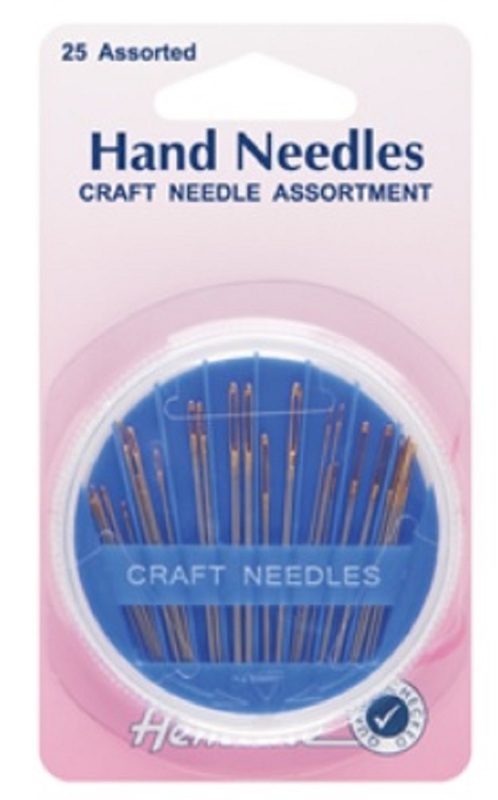 Hemline Hand Needles - Sewing Needle Assortment Needle compact containing 30 assorted sewing needles including Betweens, Sharps, Tapestry and Embroidery. 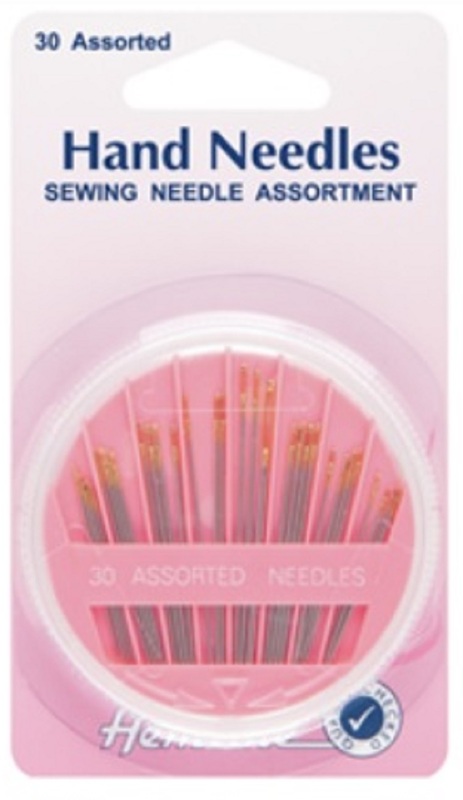 Betweens -small, fine needles used for quilting & fine stitching Sharps - used for general sewing Tapestry - larger eye and rounded/blunt point. Embroidery - long eye for easier thread of multi threads. 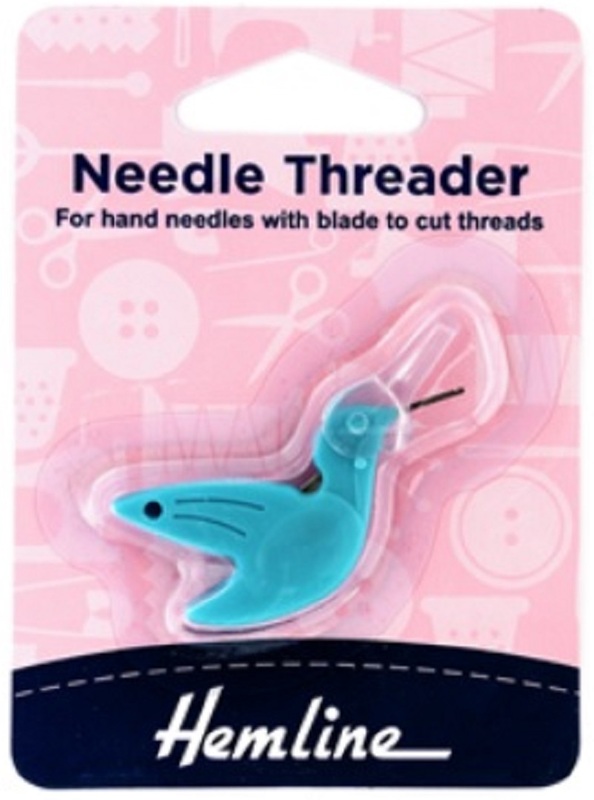 Also good for general sewing. 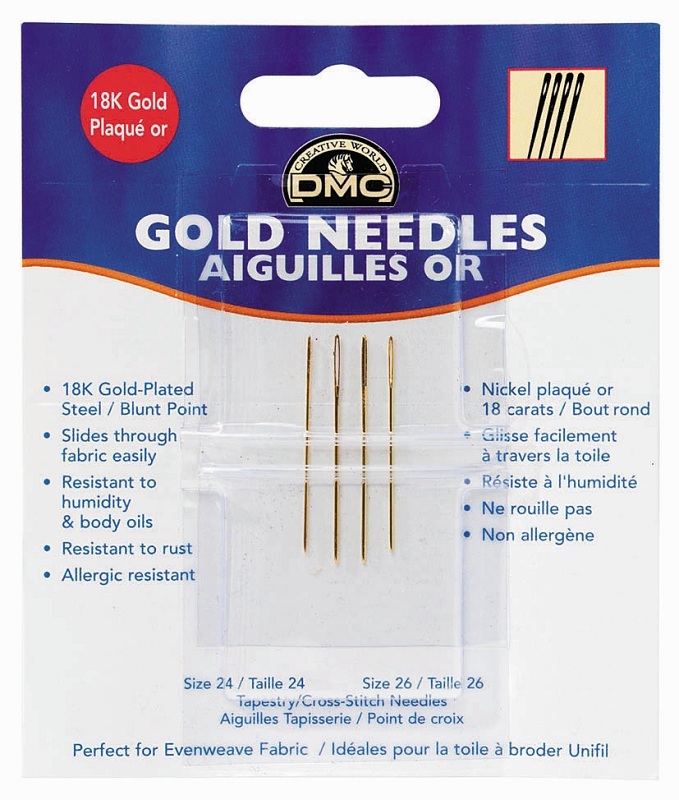 DMC Gold Plated Needles, pack of 4 needles, 2 each of size 24 and 26.